When it was put into effect, the Affordable Care Act had the greatest impact on the health and medical benefits market than ever seen before. However, the ACA has already begun to change the way employee benefits will be managed for millions of upcoming retirees for a number of factors. Health cost management, coordination of benefits with Medicare, and the fact that people are staying employed and living longer are just a part of this change. According to a survey from Towers Watson, retirees will start to see major changes in their medical programs that will transform their health and well-being in the foreseeable future. The changes are coming because employers are concerned with the rising cost of retiree health benefits in an effort to better align with their workforce plans. 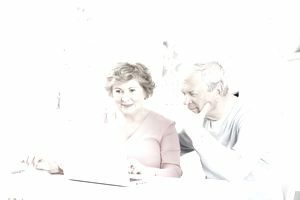 Let's take a look at what the survey reveals about the state of the health insurance markets for retirees. The 2015 Survey on Retiree Health Care Strategies, conducted by Towers Watson, involved 144 human resources personnel from large and medium-sized companies that currently offer some form of retiree medical benefits. These represent companies that want to fulfill their commitment to retirees, which is why they were chosen for the purposes of the survey and why they continue to offer health benefits after the employees have left payroll ranks. Based on the Towers Watson survey, 78 percent of employers are either using or thinking about using a private Medicare exchange to help their retirees when it comes to selecting their individual coverage. 90 percent blame the costs of increased and ongoing administrative responsibilities on changes in how retiree medical plans are handled, including 84 percent dealing with ERISA obligations. Outsourcing employee benefits can offset these costs and requirements. Just over 40 percent of employers are thinking about funding medical benefits for retirees using a voluntary employee beneficiary association 401(h). Some 21 percent of employers have begun converting subsidies they offer into retiree medical savings accounts. One of the new options for retirees who are labeled as "pre-Medicare" include private and public health insurance exchanges. Retirees can essentially shop for the health benefits they need and that meet their budgets during this time span. Another new option for retirees is employers purchasing group annuities for their retirees at a capped rate. When employers do this, liability and financial responsibility are transferred to a highly rated insurer. This guarantees that the funding for the health benefits will occur for the life of the retiree. What Is Causing the Shift in Benefits for Retirees? You might be wondering what is causing the change in medical programs for retirees? One of the biggest factors driving the change is the rising costs of medical care for retirees. The AARP Foundation and Fidelity Investments indicate that "a 65-year-old couple retiring this year will need $240,000 to cover future medical costs. That doesn't include the high cost of long-term care." Unfortunately, the Employee Benefit Research Insitute shares that, "60 percent of employees have saved less than $25,000 for their retirements", which means people are ill-prepared for the costs of their medical needs later in life. People need to get smarter about retirement investments now. Another factor driving change is the excise tax on high-cost health plans from the Patient Protection and Affordable Care Act, which will take effect in 2018. According to the details of this law published by Cornell University, an employee with self-only medical coverage can expect this tax to be $10,200 multiplied by the health cost adjustment, and an employee with coverage other than self-only coverage can expect this tax adjustment to be $27,500. The changes are also being driven by employers claiming their current retiree benefits do not help in attracting and retaining employees. All of these issues are driving the change in how medical programs are handled by employers for their retirees. After looking at the responses from the Towers Watson survey, many employers appear to be operating under the thinking that they are forced to make the changes in order to keep retirees happy and be successful at the same time. Employers have always worked to reduce the cost and the risk of retiree medical benefits by capping their subsidies, changing the design plans and either limiting or ending benefits for new hires. Employers have also tried changing eligibility requirements along the way. As costs rise over the next handful of years, employers will need to make adjustments to how medical programs are offered to retirees.